He initially feared his sin-binning would cost Australia victory in their crucial Rugby World Cup clash against Wales, but a "gutted" Wallabies half-back Will Genia insists he'd commit the same foul if put in an identical situation. Genia was shown a yellow card in the 57th minute when he tackled Wales No.9 Gareth Davies, who had taken a quick tap and was scampering towards the Australian tryline. It was a cynical foul, and Genia knew it. 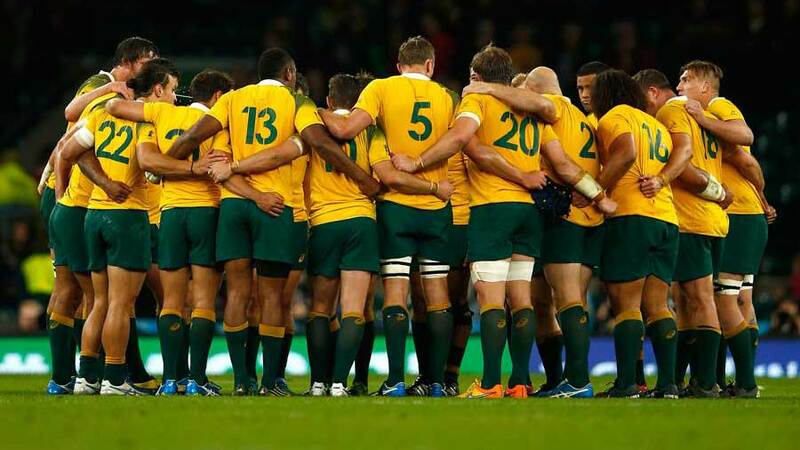 But after Australia's 15-6 victory at Twickenham on Saturday (Sunday AEDT), he insists he'd do it again. "I would. I watched the replay on the big screen and it's one of those ones ... he's five metres out and if I don't make that tackle there's absolutely no one behind me, so he's going to score," Genia said. "And also one of those ones where if I start retreating and back-tracking, and again there's no one inside me, outside me or behind me, he's got all the play as far as making a step or a palm. "It's one of those ones where you make a decision based on how you feel and while I did get yellow-carded, I felt like I made the right call." That assessment didn't ease Genia's nerves as he sat on the bench and watched his teammates desperately defending a six-point lead on their own tryline. It certainly didn't make him feel any better when lock Dean Mumm joined him three minutes later after repeated lineout infringements. With the Wallabies defensive line down to 13, and Wales attacking with renewed vigour, Genia's heart began to sink. "I was pretty gutted to be honest," Genia said. "I felt like I really let the boys down in terms of being off for that ten-minute period. "But it was one of those ones where I felt like if I didn't make that tackle he would've scored. "I knew that it would be cynical but I also didn't want to give them five points by letting them score that try. "I was pretty gutted sitting there but was just really proud of the effort. "The guys dug in with an incredible effort." Genia credited coach Michael Cheika's culture-building as the foundation upon which their extraordinary defensive effort was built. "A lot of it is about not letting your teammates down and working hard for each other and having that respect for one another," he said. "Those sort of things really come out when you're under the pump. "You could see guys busting their backsides to make sure they were on their defensive line."